It has been said that clutter is the sign of a cluttered mind. I think there is definitely some truth to that. When I have a million things going on in my head- ideas, dreams, deep thoughts, etc. - nothing gets done and I tend to put things in all kinds of odd places and it builds up. I have not had a calm mind in quite some time but my mind has started to calm and the clarity and focus has started to return. I don't know about you but when I am overwhelmed by clutter, I don't want to do a single thing. I don't want to go to the park, the zoo, or anywhere. I'd rather just sit and watch something on Netflix, go online or read a book. In other words, I want to ignore it. I have decided to begin "Operation Declutter". 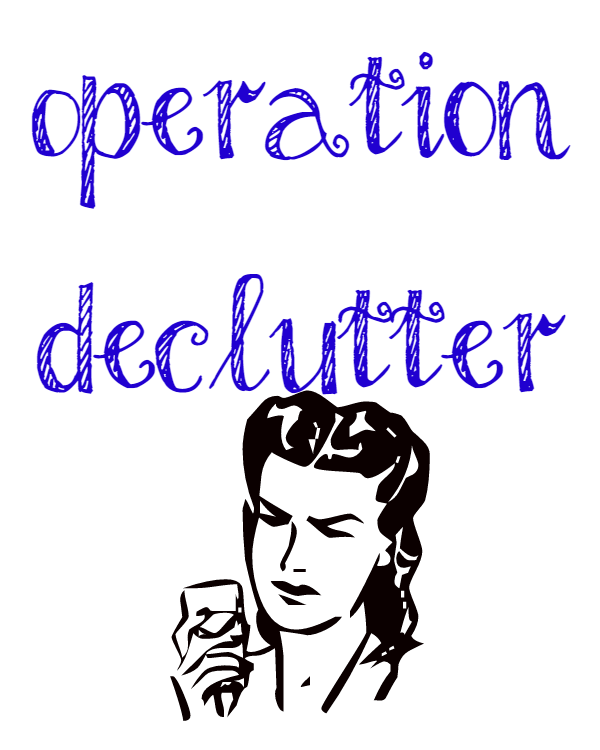 Operation Declutter will not only declutter my home but my finances, my blog, my businesses and return to a point where I can not only focus on my daughter and my passions but feel comfortable and rested again. 1. Living Room. Organize. Downsize. Deep Clean. 2. Kitchen. Organize. Downsize. Deep Clean. 3. Cleaning Schedule. Set it. Make it. Keep up with it. 4. Financial. White Erase/Cork board. Will set up specific financial goals. 6. Business. Set clear goals on put them on the financial cork board. Set up my writing portfolio website. Set up my virtual assisting website. 7. Go to the park or other outside venue once a week with Emma. Will you be decluttering anything in your life?